Dogs. Cute! Not all that smart. I know, except for your dog, which is smarter than my honor student, according to your bumper sticker. You still might want to hang on to Fido while you’re driving with the windows are down. 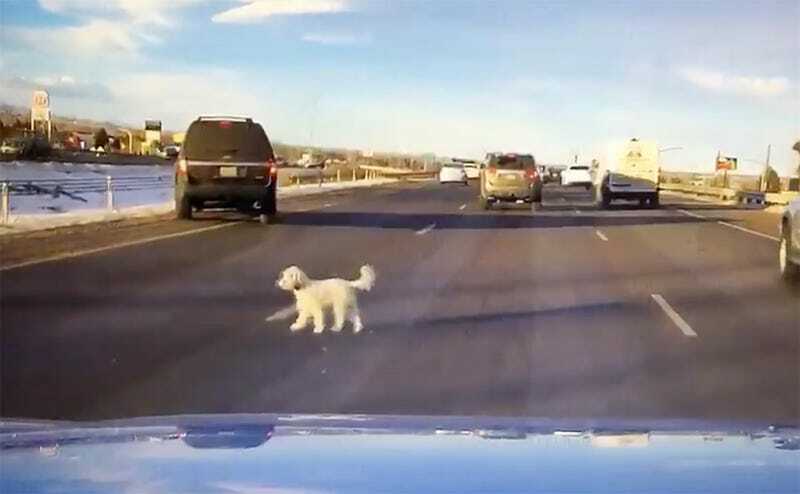 As you can see from this profane dashcam clip, a wayward (what is this, like a big white Scottish Terrier?) 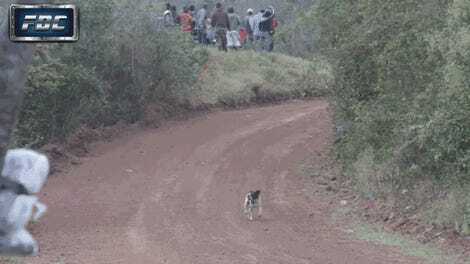 dog is suddenly compelled to exit this vehicle at high speed, then suffers quite a spill and clearly regrets its decision immediately. Don’t worry, this little pup is apprehended and returned to its car without being run over. I wouldn’t make you watch a dog snuff film. But I do hope this inspires you to secure your pets as you set off for family road trips this holiday week. The better locked-down your animal is, the safer they’ll be in a crash or if a window’s open and you happen to drive by something your pup decides it wants to chase.